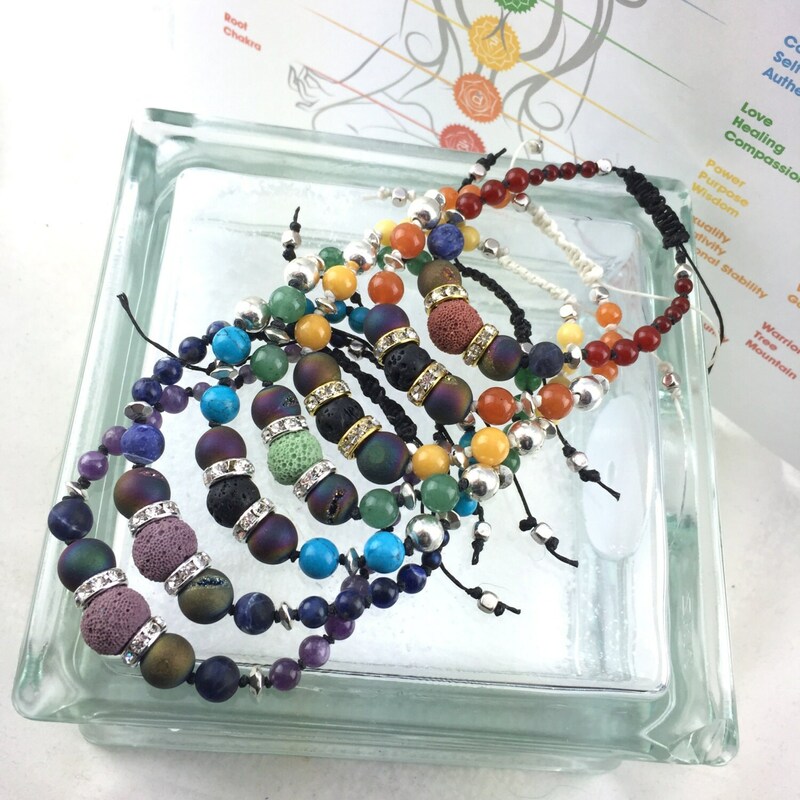 Chakra Wellness Essential Oil Bracelet. 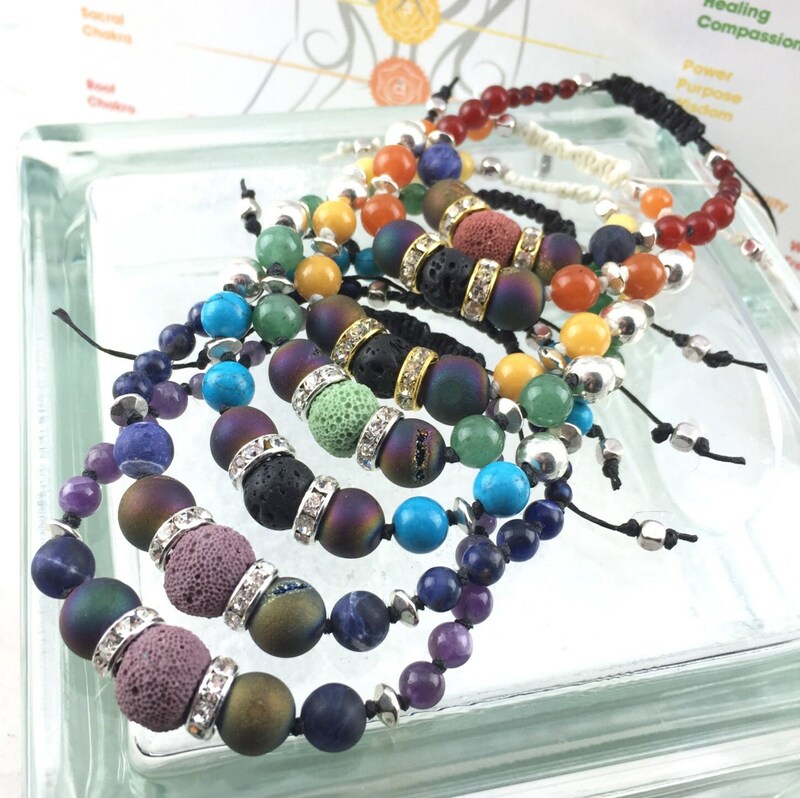 These bracelets feature natural stones that are know offer spiritual healing and wellness, along with quartz druzy for that perfect amount of sparkle. 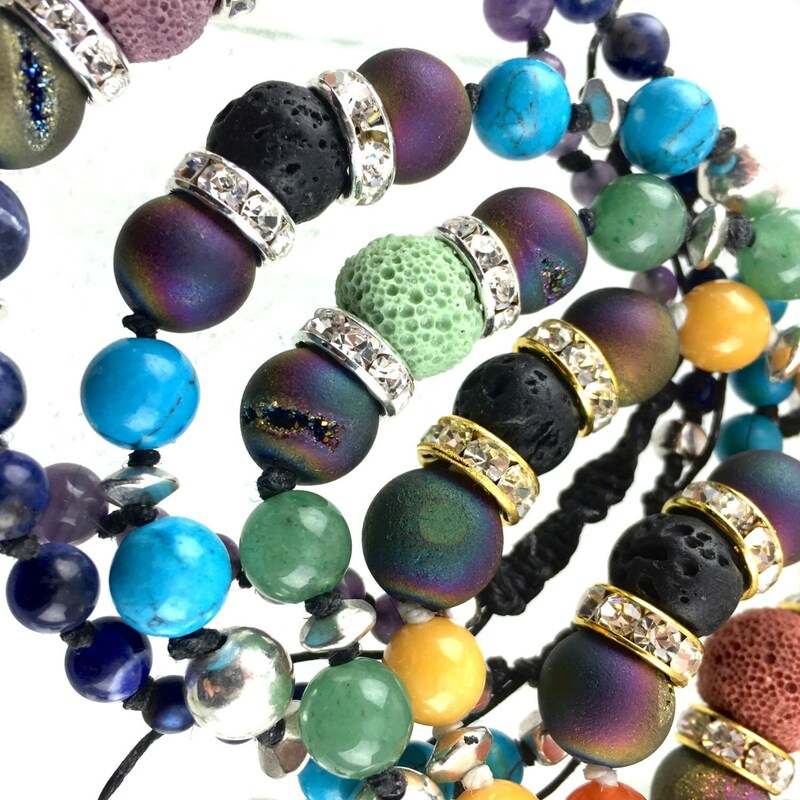 Each bracelet is hand knotted and features lava stones for you to use with your favourite Essential Oil. When ordering, the sizing corresponds with your wrist measurement but all bracelets are adjustable up to 1.5" (38mm) more. Crown (violet, amethyst) - The Crown chakra is about wisdom and being one with the world. When this chakra is open, you are unprejudiced and very aware of the world and yourself. Third Eye (dark blue, sodalite) - The Third Eye chakra is about insight and visualization. When it is open, you have a good intuition. Throat (light blue, turquoise) - The Throat chakra is about self-expression and communication. When it is open, you have no problems expressing yourself. Heart (green, green aventurine) - The Heart chakra is about love, healing and affection. When it is open, you are compassionate and friendly, and you enjoy harmonious relationships. Solar Plexus (yellow, yellow jasper) - The Solar plexus chakra is about asserting yourself in a group. 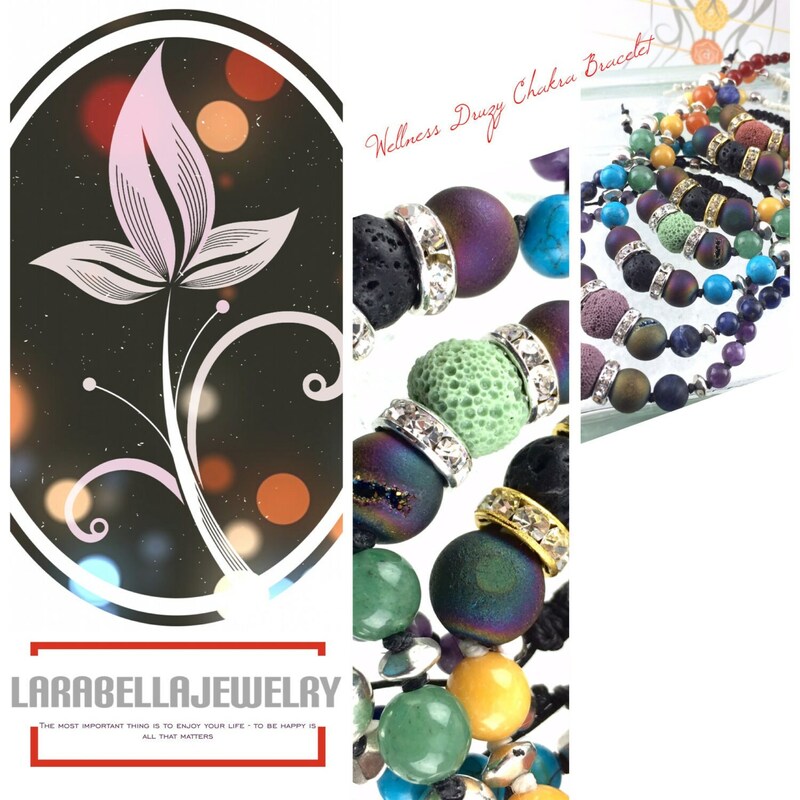 When it is open, you feel in control and you enjoy an abundance of positive self esteem. Sacral (orange, orange aventurine) - The Sacral chakra is about emotional stability and sexuality. When it is open, your feelings flow freely, and are easily expressed. You are open to intimacy and have a strong sense of creativity. Root (red - red agate) - The Root chakra is about being physically and emotionally present and feeling at home in situations. If it is open, you feel grounded, stable and secure. 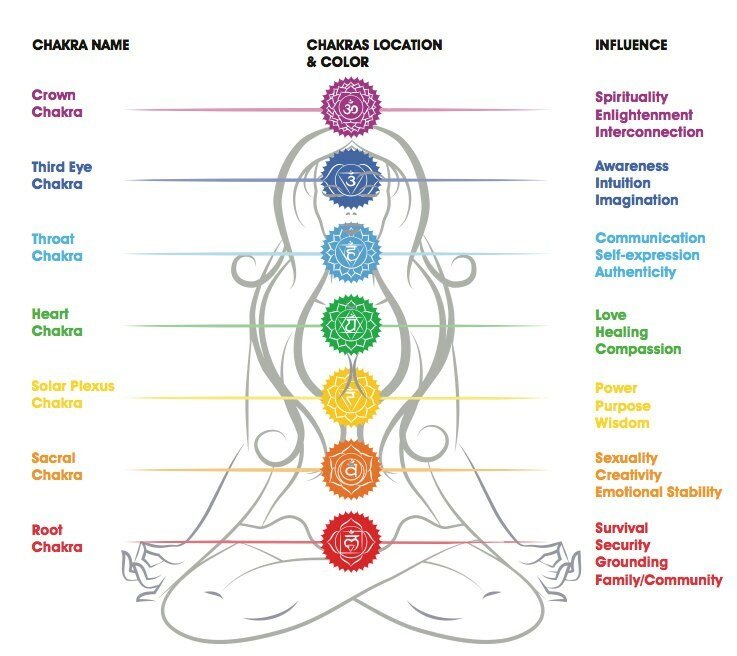 See pictures for Chakra locations.